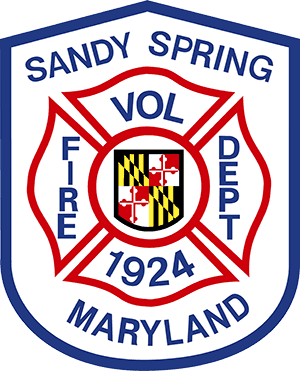 Belmont Elementary School students deliver stuffed animals to the Sandy Spring Volunteer Fire Department’s (SSVFD) Station 4 at 17921 Brooke Road in Sandy Spring on Wednesday, June 13, 2018 as part of their 5th Grade Service Project – New Stuffed Animal Collection for First Responders “Comforting Kids in Need”!!! L-R SSVFD Fire Chief Michael A. Kelley, Elsie Groff (11 yo), Brooke Marshall (11 yo), Marianna Ona (10 yo), Shannon Farr (11 yo), Kathryn O’Boyle (10 yo), Scotty Puente (11 yo), Olin Hogentogler (11 yo), Ryan Johnson (11 yo), and Capt. Brendan Bonita, who also serves as SSVFD Vice President, stand in front of Tanker 704.